Useful Web Based Tools For Linux | " Xpert Bits "
Linux is an outstanding operating system for serving up applications. And there are a ton of possibilities. From content management systems to Web portal creation tools, Linux has just about everything you need. Among those thousands of tools, a select few stand out as the best of the best. Listed below you will find my top 10 must-haves for Linux server/Web/cloud-based tools. Drupal is one of the finest content management systems available. It's open source, based on PHP, and can serve up anything from individual sites to large corpora te sites. Drupal is also modular, which means it defaults to a core installation but has a number of outstanding modules you can add. Installation of Drupal requires a database (MySQL is preferred), PHP, and a server (such as Apache). It was originally written as a bulletin board system. Drupal is simple to install, easy to manage, reliable, scalable, and themeable. Some of the biggest sites powered by Drupal are Warner Brothers Recording, MTV UK, Harvard Science and Engineering, FedEX, NASA, and Ubuntu. One of Drupal's best features (especially for the enterprise level) is the efficiency of bug fixing and patching. A large number of developers are working with Drupal, and shortly after a bug or security hole is discovered, a fix is released. Newer releases of Drupal take advantage of an automatic update notifier. As soon as an update of any installed module (including the core) is released, the administrator is informed. If you need a tool to help you quickly roll out quality sites, Drupal is what you are looking for. If you need remotely manage a server or a desktop, Webmin is one of the best tools available. Webmin allows you to remotely configure disk quotas, modify applications, configure services (such as Apache, FTP, and MySQL), control multiple machines from a single interface, and much more. The Webmin interface is strictly Web-based and is incredibly user-friendly. Like Drupal, Webmin is modular, which allows you to install modules for nearly any application/task and to write modules of your own. Webmin is one of those tools that every Linux (and now Windows) administrator should deploy to make their administrative tasks far easier. 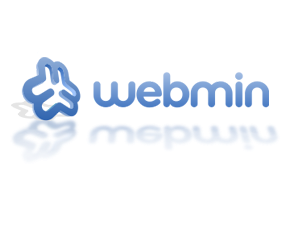 Webmin is released under the BSD license. Although not open source, Nolapro is one of the best Linux-based accounting and POS solutions I have used. Nolapro is another modular system, and it includes order management, general ledger, shopping cart, inventory tracking, accounts payable, payroll, B-to-B, accounts receivable, and POS. Nolapro is simple to install but not quite as simple to use. Of course, any system of this nature is going to have a somewhat steeper learning curve. Tthe software itself is free, but I highly recommend you purchase the printed manuals. Because this system can handle so many tasks, having the manuals is key to getting your staff up to speed quickly. I have deployed Nolapro in a number of locations and have found it to be an outstanding solution. Even though the POS system is geared more for smaller businesses (lack of cash-drawer hardware), the rest of the system will indeed be robust enough to handle nearly any size company. If you're looking for a solid groupware suite to replace Exchange, this might be exactly what you want. eGroupWare is a complete solution that includes calendar, group scheduling, notifications/alarms, e-mail (IMAP only), InfoLog, contacts, project management, bug/incident tracking, timesheet, SyncML support, and SiteMgr or JiNN support. eGroupWare is not the easiest system to install (make sure you install from source and not from a prepackaged binary), but once it's installed you will find yourself asking "How is this amazing system free?" eGroupWare is an enterprise-ready, open source (GPL license), cross-platform Exchange Server replacement with a built-in Web interface. I've deployed it with great success. If you don't want your users accessing the calendar and e-mail from the Web interface, you can connect to eGroupWare with groupware clients like Kontact, Evolution, and Outlook. Yet another content management system that is as flexible as any other and widely used around the globe. The user list of Joomla! includes the United Nations, MTV Quizilla, LA Weekly, IHOP, University of Harvard, Citibank intranet, The Green Maven, and Outdoor Photographer. Joomla! is as simple to install as Drupal, includes numerous modules, and has a large community (which publishes a regular community magazine). A number of published books cover using Joomla! to build sites, creating extensions (modules) for it, beginning Joomla!, and Joomla! training, among other topics. Why would you choose Joomla! over Drupal? There are a number of possible reasons: If you need a shopping cart, if you want to include an event calendar, if you want a large selection of templates, if you want to include document management, or if you need commercial support. MediaWiki was originally created for Wikipedia but is now used for many other *wikis. MediaWiki is intended to be run on server farms for sites that receive millions of hits per day. It's powerful and quite scalable. The backbone of MediaWiki is PHP and MySQL. The list of sites using MediaWiki is extensive. What MediaWiki has over many other Wiki servers is the ability to include multimedia files (including images, audio, and video). MediaWiki also has a large collection of extensions from AimButton to YouTubeTag (and many in between). If you are a MySQL guru you can look away now. For the rest of us who must work with databases to create and administer Web sites, PhpMyAdmin is just the ticket. The PhpMyAdmin Web interface is as simple as it gets. Of course, the product isn't limited to simplicity -- PhpMyAdmin also lets you issue MySQL commands from within the Web interface. From within the Web interface the administrator can manage databases, tables, fields, relations, indexes, users, permissions, etc. PhpMyAdmin has been translated into 55 languages and has outstanding support and simple installation. Virtualization is critical in meeting today's computing needs, and the VMware Server will quickly become invaluable. By enabling you to create a virtual server once and roll it out multiple times, VMware Server drastically cuts deployment time. This particular server technology allows for the quick creation of test beds, server consolidation, and quick rollbacks. It supports 64-bit operating systems, 8 gigs of RAM, and 10 network interface cards. VMware Server also has a remote console, which allows for both remote and local access to the virtual consoles. VMware Server is a complete no-brainer for the enterprise environment. Packetfence is one of the best open source network access control tools available, and it's been deployed in numerous large-scale industries. Packetfence supports registration of new network devices, detection of abnormal network activity, isolation of problem network devices, remediation, registration and vulnerability scans, VLAN isolation, 802.1X, FreeRADIUS, and DHCP fingerprinting. It has both Web- and command line-based interfaces. Packetfence can be a simple system to install but a complex system to master. The Packetfence support is severely lacking (as is the documentation), so the included README files will be critical for your understanding of this incredible system. If you're looking for an open source hosting control solution, you'll want to look at the open source version of cPanel -- DTC. This solution, released under the GPL, has a ton of features that most other commercial solutions do not: real time bandwidth monitor, auto IP update, antivirus, anti-spam, and much more. This utility is *NIX platform independent (it can run on Linux, BSD, Solaris, Debian, OS X...) Unlike many other solutions of this type, DTC does not employ a daemon, but uses Apache as is. You can purchase professional-level support. If you are looking at creating a hosting service, and you need an answer for a lot of problems, look no further than DTC. 0 comments : on " Useful Web Based Tools For Linux "